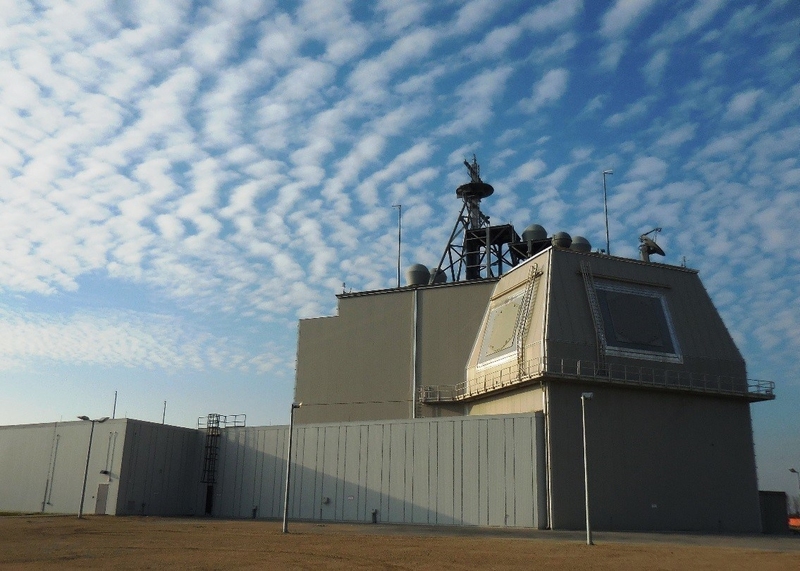 With Aegis Ashore ballistic missile defense systems set to operate in Poland by the end of the year and currently active in Romania, all NATO members will be covered against Iran and North Korea’s ballistic missile threats, the Romanian ambassador to the U.S. said on Wednesday. George Cristian Maior said the need for such new defense and deterrence systems reflects “the overall negative developments” that alliance members saw coming from Iran’s growing missile threat. He said Aegis Ashore “provides credible deterrence and defense” against ballistic missiles coming from Iran, North Korea and non-state actors, such as Hezbollah in Lebanon. The two installations “prove NATO is capable of adapting to [changing] threats.” It also demonstrates how Europe and the United States work together for the common defense. In fact, Maior pointed to a resurgent Russia with its aggressive actions east of NATO starting with the Kremlin’s backing of separatists in Georgia, then annexing Crimea, and aiding and abetting insurgents in eastern Ukraine as refocusing the alliance’s attention on collective security. Since then, Russia has been “rejecting cooperation and engagement from the Baltic to the Black Sea.” He offered Moscow’s cyber attacks on Baltic nations to disrupt communications and utility operations there, and its meddling in political affairs across the continent as further examples of why NATO needed to revitalize the alliance, especially on its eastern flank. “We need to see more capabilities” brought to bear there even now. He praised the United States for its investment of almost $5 billion in the European Defensive Initiative in 2018, its movement of more armored units to the continent and European allies working with each other to raise troop levels in Poland and the Baltics to deter any further Russian military moves. “We need to show solidarity” as an alliance; “we need to show we can respond quickly” to a variety of threats from different sources. He added the stepped up commitment by NATO members to spend more on security began almost immediately after Russia moved more forces into Crimea. He cited Romania’s recent commitment to buy the Patriot air and missile defense system as part of its living up to spending two percent of gross domestic product on security, and 40 percent of that on modernized systems. He added that it is also investing in advanced artillery systems and will be stationing a battalion of troops in Poland as part of the alliance’s agreement to shore up defenses closer to the Russian border. Noting that Russia is not only saber rattling in northern and eastern Europe and actively backing uprisings in Ukraine, Maior said Moscow has become increasingly active since 2010 “in a new type, I won’t say warfare, but an extension of power” that has become a very pressing issue in Europe and the United States. Earlier, he mentioned in answer to another question how these activities likely influenced the Czech Republic’s decision not to host Aegis Ashore.